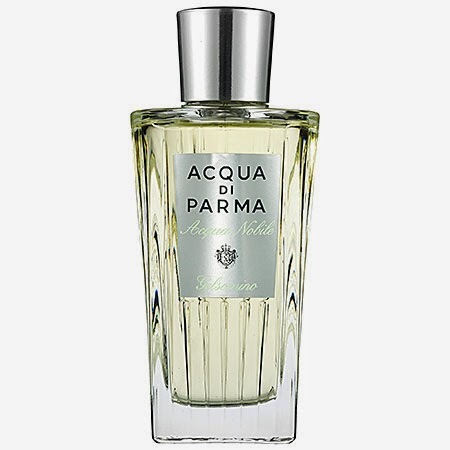 Check out the fragranceAcqua Nobile Gelsomino by ACQUA DI PARMA. ACQUA DI PARMA fragrances are always so rich and beautiful! This dazzling fragrance celebrates the freshness of dew drops on Italian jasmine blossoms with opening notes of crystal-clear bergamot, lemon, and mandarin. At the heart, vibrant neroli and petit grain combine with the tender elegance of Calabrian jasmine to enhance its floral green character and create a bright, lingering finish. Italian Bergamot Essence, Italian Lemon Essence, Italian Mandarin Essence, Pink Pepper, Calabrian Jasmine Absolute, Italian Neroli Essence, Italian Petit Grain Citronia Essence, Musk.